William & Mary’s Muscarelle Museum of Art will soon expand significantly as it becomes part of a new, multimillion-dollar, state-of-the-art Center for the Visual Arts. The Board of Visitors today unanimously approved a measure that will name the center in honor of one of the museum’s greatest benefactors: Martha Wren Briggs ’55, a William & Mary alumna who has spent most of her life dedicating her time, talent and treasure advancing the arts on and off campus. The Martha Wren Briggs Center for the Visual Arts will be established with the central mission of advancing art and artists, building a dynamic and vibrant community, promoting thought-provoking dialogue and encouraging diverse and creative thinking. Its expansive space will house world-class exhibitions featuring interactive technologies, a teaching center for research and engaged learning, including the study of tangible works of art. It will have a modern auditorium and gathering spaces to bring the William & Mary community together. The center will also be home to the Muscarelle Museum of Art and the new Kaplan wing. Martha Wren Briggs is an accomplished writer and art historian who has published several award winning articles and books on internationally acclaimed artists such as Louis Comfort Tiffany. 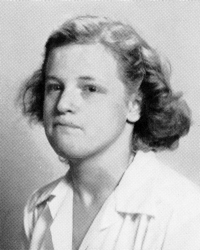 After earning a bachelor of arts at William & Mary, Martha completed her master’s in art history at the Institute of Fine Arts at New York University. Martha previously made a gift for the restoration of the campus amphitheatre — also named in her honor — and has supported need-based scholarships for students studying the arts. Martha Wren Briggs '55 - The Martha Wren Briggs Center for the Visual Arts will be the future home of the Muscarelle Museum. The Muscarelle Museum outlined funding for the center as one of its top priorities in the For the Bold campaign. Martha's commitment allows the museum to move forward with the establishment of the new visual arts center. To learn more about the museum’s campaign priorities, visit here. "Whether it is a coincidence or not, Martha had lived close by the museum in Williamsburg over many decades. Her heart has always been close to the museum — literally and figuratively," added DeGroft. “It is befitting in so many ways that the center is named after Martha." 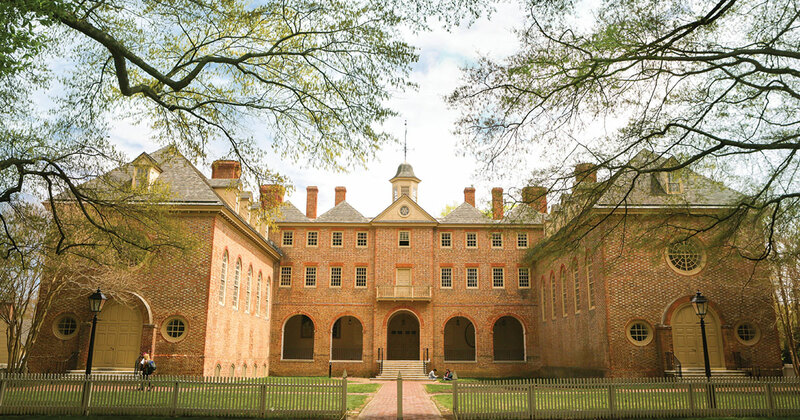 William & Mary was the first university in the nation to collect art and the first to include the arts as part of its curriculum. In the last two years alone, the museum has featured world-renowned exhibitions on Michelangelo, Leonardo da Vinci and Caravaggio. Most recently, the museum announced it will be one of only two venues in the U.S. to showcase an exhibit on Sandro Botticelli. The exhibit, titled “Botticelli and the Search for the Divine: Florentine Painting between the Medici and the Bonfires of the Vanities,” will be on display from Feb. 11 to April 6, 2017. “Martha has enriched the entire William & Mary community through her unceasing commitment to the arts. The dedication of this center in Martha’s honor is a testament to her life’s work and will serve as a reminder to us all of her enduring spirit and devotion to her Tribe family,” said Vice President for University Advancement Matthew T. Lambert ’99. “We are all excited to witness firsthand the expansion of the museum and the groundbreaking Martha Wren Briggs Center for the Visual Arts." In the coming weeks, William & Mary plans to announce the architect for the new visual arts center.